The task of following up something as unique and satisfying as Batman #5 is daunting to say the least. In last month’s issue Scott Snyder and Greg Capullo literally asked you to read Batman in a way you never have before. That book is a sterling example of how immense creativity can push a narrative to the next level, but it’s also an unsustainable way to tell a monthly story. At some point you have to leave the high wire act behind and simply tell your tale in the best way you know how. Batman #6 ,while not as unique as its predecessor, is still a well crafted piece of comic book fiction that is satisfying in all the right ways. 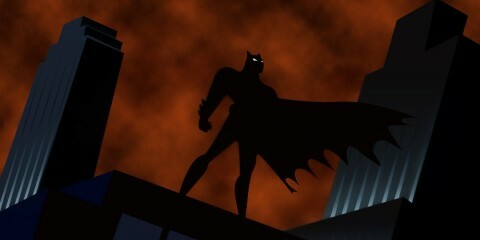 Writer Scott Snyder proved last month that he understands the merits of showing The Dark Knight as a fallible creature. He put our hero in such a bad position that you couldn’t really imagine how in the world he would get himself out of it. 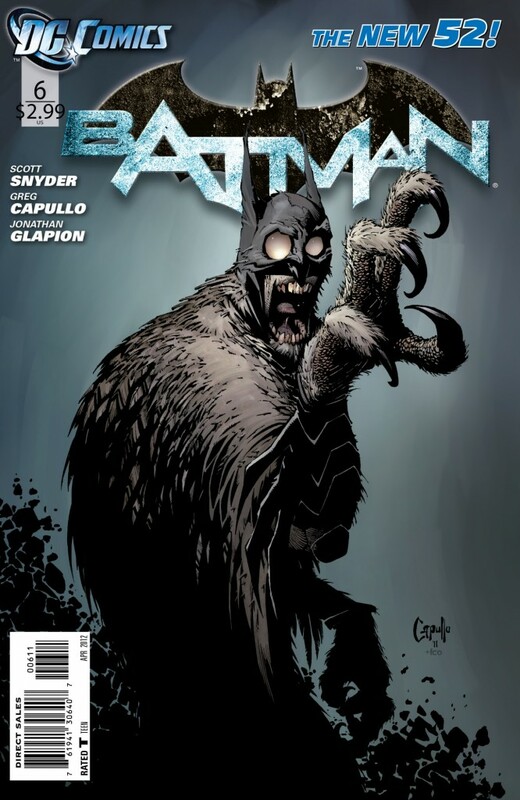 The writer had a lot of success making Batman look the fool, and I’m sure their was some temptation to keep him one step behind the Court of Owls. Tempting, but predictable and like all great writers Scott Snyder keeps you on your toes. He surprises you by going to back to the oldest of Batman tenants, which is the simple fact that he is just plain smarter than everyone else. He has a knife wound in his belly and is bordering on madness, and yet he is never more than an eyelash away from beating his enemies. There are a few fist pumping moments in Batman #6 and they exist only because Snyder has earned them. It’s the kind of tight storytelling that rarely gets credit but is the back bone of great writing. Then there is Greg Capullo who continues to be the perfect ying to his writer’s yang. Capullo’s art may be more brash than Snyder’s writing, but instead of that hurting the effect of the book it enhances it. I’m impressed with the way Capullo always manages to fit his bombastic pencils into the framework of Synder’s story. This time around it was creating a visual representation of a desperate but rejuvenated Batman. The design he comes up with drums up images of a ferocious predator who has been backed into a corner. This Batman is all grotesque angels and gnashing teeth, and it’s nothing short of iconic. Buy It – It would be silly to overlook the high quality of this month’s Batman #6 just because it doesn’t have the pomp and frills of last month. This is a great Batman comic that resolves last issue’s cliffhanger while moving the story forward towards it’s inevitable climax.